We are a mac office here at work, and I love my mac, but they do something very annoying: beep every time you tab complete the terminal. ls a directory that doesn't exist? Beep. Any sort of tab complete? Beep, beep, beep. When you fill an office with people who live inside their shell, that's a lot of beeping. It's almost as prolific as iPhone sms sounds coming from the marketing side of the room. Don't get me started on that. So here's how to disable the annoying mac osx tab complete beep alert that you hear when auto-completing on your terminal. 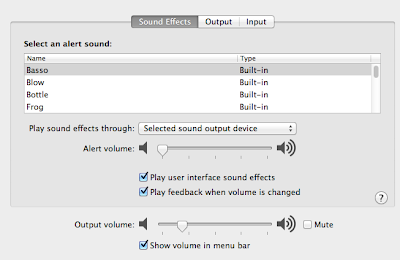 Open up system preferences and click on "sound", then turn the "alert volume" all the way down. Die, alert sound, DIE!!! 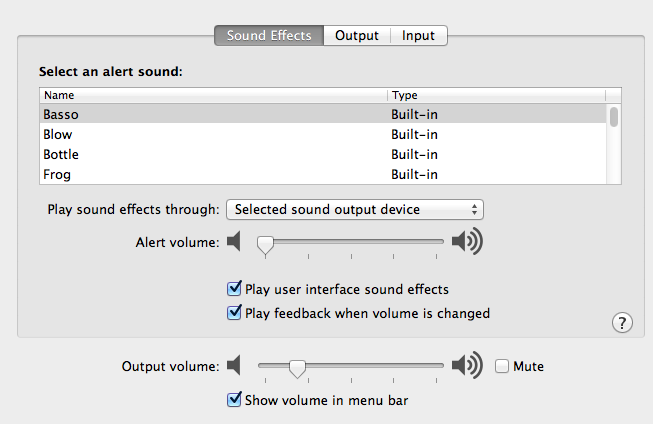 Turn the "Alert volume" slider all the way down to disable the mac osx alert sound. Be nice and mute your system or disable this sound.